Welcome to Shoji Designs Inc. where craftsmanship and tradition are blended in the creation of shoji of the highest quality. 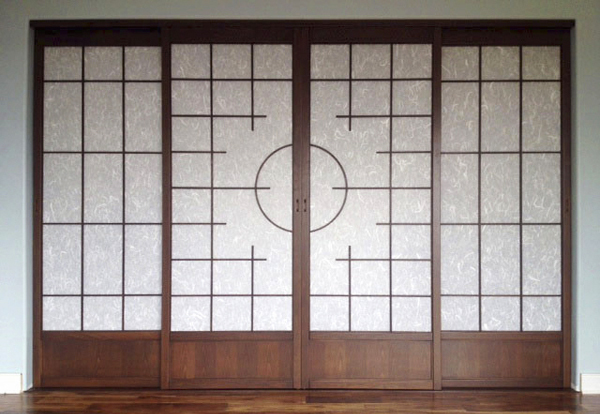 We manufacture custom Japanese shoji screens using the finest materials and construction techniques. A perfectionist, Edward Crowell brings 35 years of fine woodworking experience to his craft. 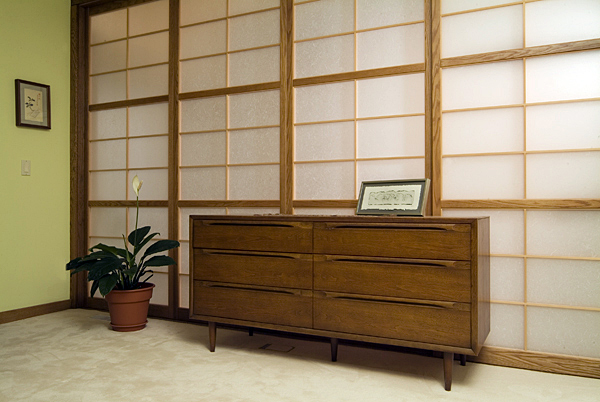 His shoji combine the beauty of a traditional Japanese shoji screen with the durability and sizing necessary in a modern Western home. 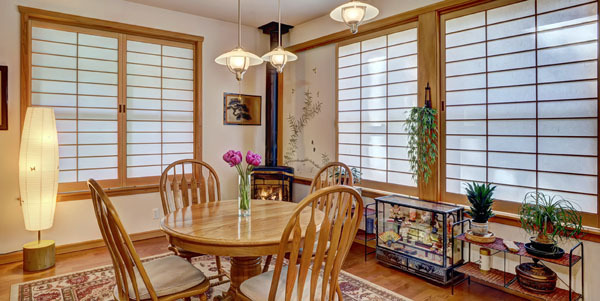 With their large expanse of Japanese rice paper and finely finished woods, shoji screens are a wonderful complement to contemporary or traditional homes. 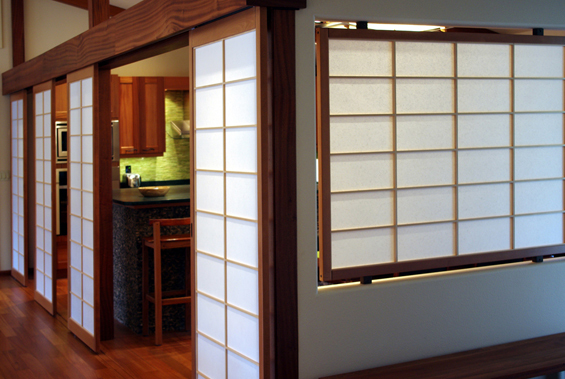 Shoji screens were originally used in Japanese homes to separate the living space from the veranda (or porch), while allowing light through. A deep overhanging roof covered the veranda and sheltered the screens. A set of sliding wooden doors closed off the veranda from the outside and provided security at night. 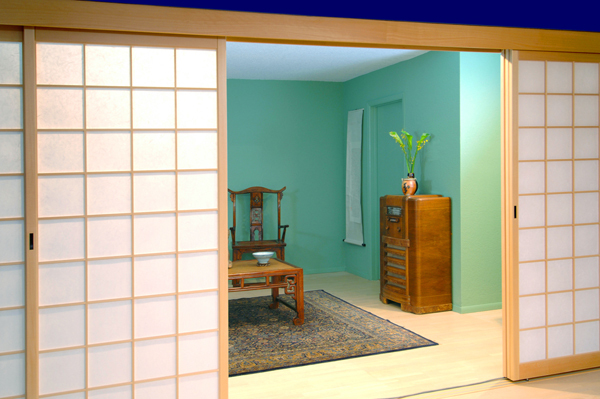 In modern homes the shoji screen doors would usually be behind a parallel set of sliding glass doors. 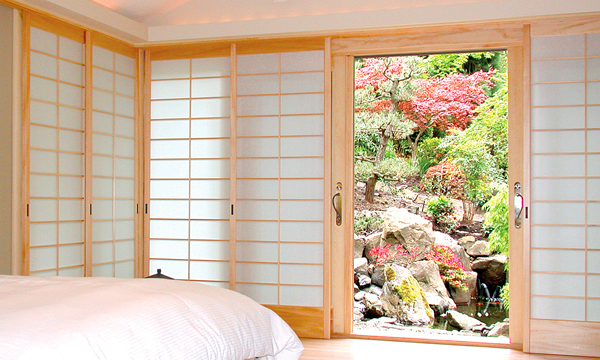 In the bedroom above, a wall of sliding shoji screen doors slips into a wall pocket, out of sight, for an unobstructed view of the Japanese garden outside. 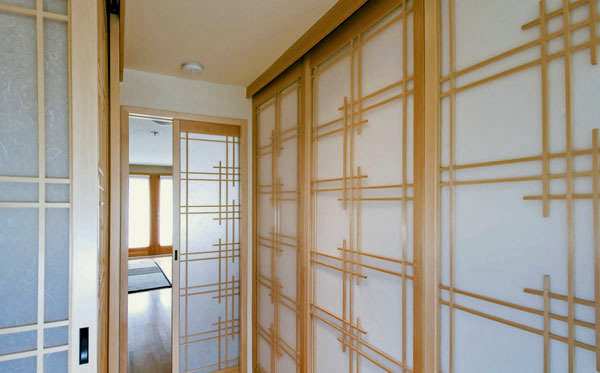 A photo of these screens nested in their wall pocket is included in our portfolio along with other shoji screen installations. Shoji Designs Inc. is a small, family run, business. We view each project we undertake as a unique creative challenge. We are highly motivated by the desire to meet your expectations and those of your clients. The corner stone of achieving this end is great communication. From the design phase to completion there will be many questions and ideas which need to be addressed. We welcome and encourage this aspect of any project in order to develop trust and understanding. Simply put, your project becomes our project. Part of our commitment is to answer any and all questions (we do not assume or second guess) and listen to any and all ideas. Thank you for your interest and we hope you will consider us as your shoji maker.